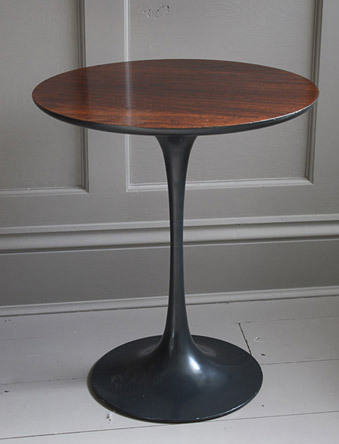 A tulip table designed in the 1960s by Maurice Burke for Arkana, UK after a design by Eero Saarinen for Knoll. 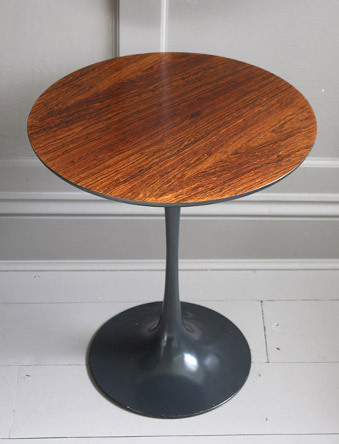 Dark grey painted metal base with a rosewood top. 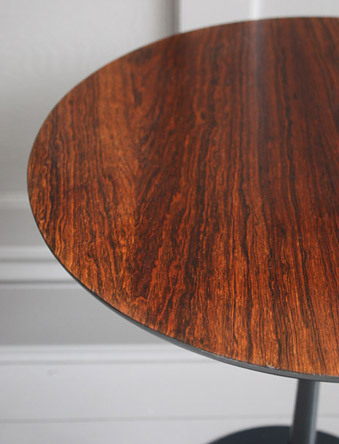 The top has recently been repolished. In excellent condition with some scratches to the base.